Hi-fi manufacturer Pro-Ject Audio Systems announced a new Artist Series Special Edition turntable collaboration. 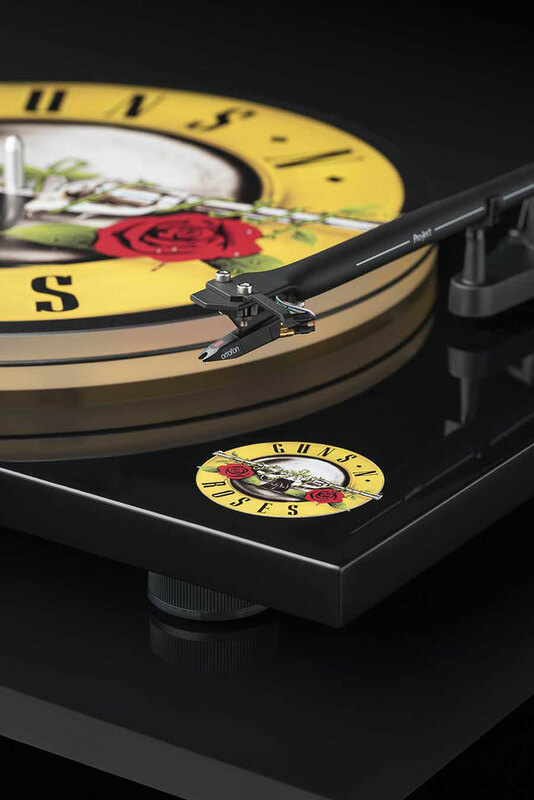 After successful collaborations with The Beatles, The Rolling Stones and other musicians, Pro-Ject Audio Systems teamed up with Guns N’ Roses to release a custom-designed turntable based on the band’s iconic logo. 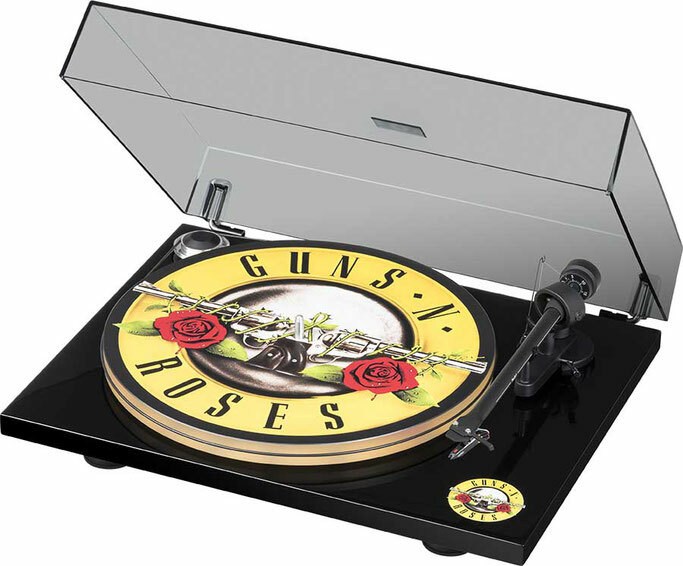 The record player is based on Pro-Ject’s Essential III turntable but has a superior acrylic Acryl-IT E platter with the GNR artwork printed directly onto it, along with a sleek black design and smaller logo on the player itself. Pro-Ject Audio Systems is closely working with partners of the music industry, such as Universal Music Group (The Beatles), Third Man Records (Jack White), The Rolling Stones, Parov Stelar or the world famous Hard Rock Café. Many industry leaders also cooperate with Pro-Ject Audio Systems, like the Vienna Philharmonic Orchestra or Ortofon for their jubilees. With these partners, they create special limited edition products to give their customers even more choices. The Pro-Ject Guns N’ Roses record player will be available in April.